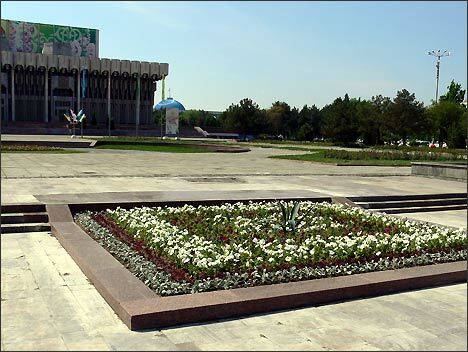 By the order of President Karimov, the famous monument of people’s friendship was dismantled in Tashkent on April 12, 2008. 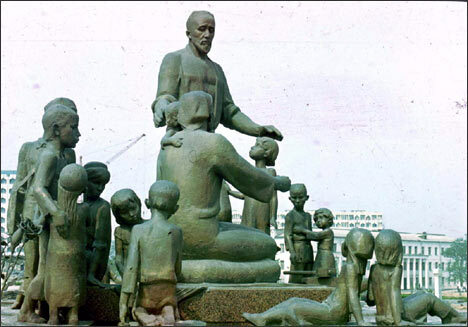 The monument represents statuary, installed in 1982 in honor of big family of blacksmith, Shaahmed Shamahmudov, which together with his wife Bahri Akramova adopted 15 orphans of different nationalities in the period of Great Patriotic war. 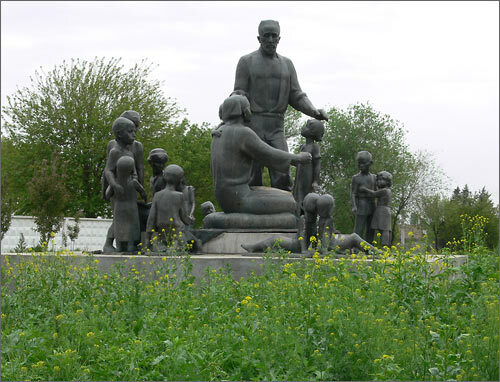 The deed of gentle-hearted blacksmith became the embodiment of mercy and humanism among Uzbek nation. Later on, this story became the scenario of "His Greatness – The Human being" novel, written by Rahmat Faizi, "You are not an orphan" feature film. For some reason, the presence of this monument in the heart of capital city was irritating self-perpetuating leader of Uzbekistan. 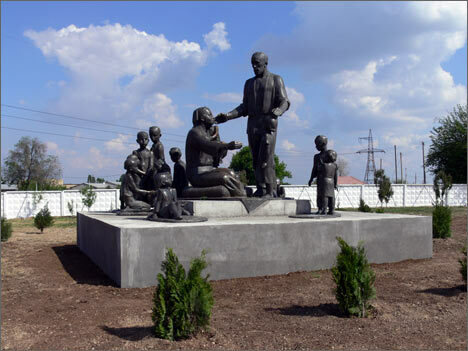 The monument was dismantled and moved to the suburb of the city, where it was placed away from people in close vicinity of Tashkent belt-way. The bed of flowers was planted in the old place of the monument. The Palace of people’s friendship, in front of which the monument had been located for twenty six years, was renamed to the Palace of Istiklol (Independence). Today, one year after the event, the monument looks absolutely deserted. When the monument was replaced, the small park-looking area was erected around the sculptures. However, it is clear that nobody took care of the trees: the entire area around the monument ran wild. In order to approach the monument, one needs to get through this brushwood. Today, nothing reminds about the park that used to exist here.